this last week kelly & i had the most fantastic vacation. we spent time together doing our very favorite things in our most favorite city, and now feel relaxed, refreshed and ready to bring our filled spirits into our regular-every-day, back-to-normal-lives. our lovely vacation culminated at the end of the week with a wedding celebration for our great friends sean & sarah. 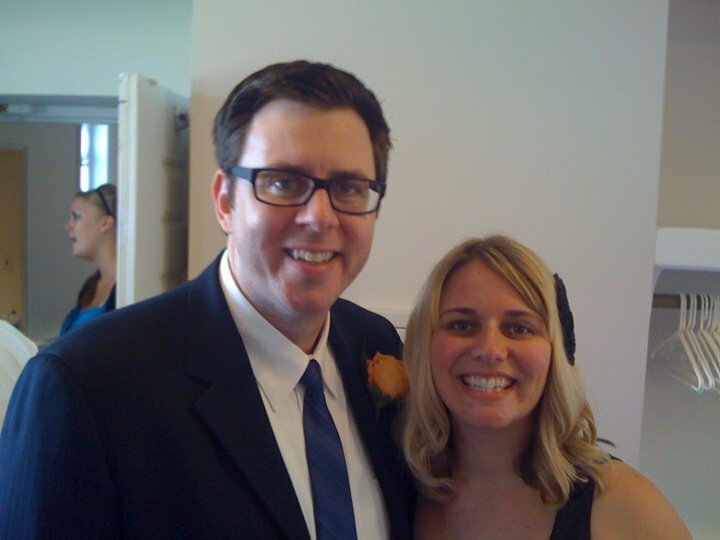 we first met both sean & sarah just four years ago when we chose a brand new home church. this particular church was the first church that kelly and i chose together as a family, neither of us had been raised in the specific tradition, but from the beginning knew that this place would be just right for us as we continued our faith experience as adults. sean was the first pastor who took us to coffee and taught us everything we needed to know about the presbyterian faith, and participating in committees, and growing in faith and leadership. we quickly became great friends, and upon meeting his girlfriend sarah, we watched as a very special bond amongst the four of us grew. and just a few nights ago, while celebrating sean & sarah’s wedding, and sitting at a table with some of our closest friends from the church – i was overwhelmed with emotion, remembering those early days of our church experience. at times, it was so difficult to choose this new church, apart from our families, in a place where we knew absolutely no one, and feeling discouraged walking home so many sundays wondering how long and how much effort it would take to develop significant friendships and truly deep community. and yet at the wedding, i looked around the room at a handful of people who have walked life with us these last few years in such deep and profound ways; the woman who helped us re-think our finances, and the pastor who challenged us to give our best gifts to the church, and the couple who reminded us how to laugh and dance and experience everyday joy, and the friend who always remembers the littlest of details in our lives, and as i looked at each of these people, i was again reminded that choosing the right church and the right group of people to trust your life with are always worth the effort.